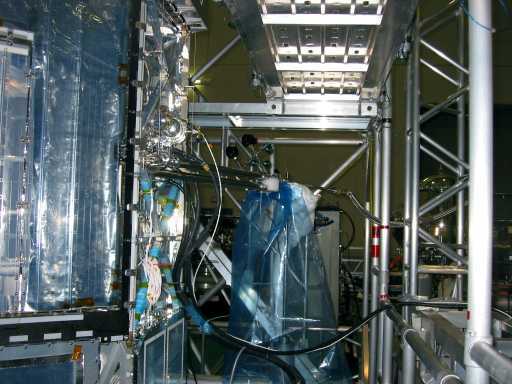 We performed a detailed spacecraft function test from April 5 to 6, 2005. The EOB (extensible optical bench) was deployed during this test, and all the components were operated in that configuration. This is the final detailed function test at Sagamihara. We are at the final stage of the spacecraft I&T before shipping to the launch site. Photo 1: The left panel shows the spacecraft before EOB deployment, while the right shows after the deployment. After the deployment, the spacecraft becomes about 6 meter tall. 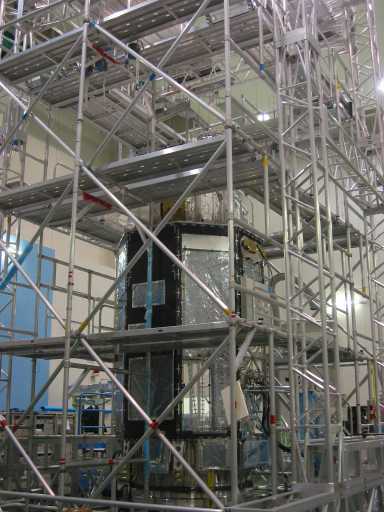 The structure around the spacecraft is a scaffold for mechanical operations and a counter-weight stand to mimic zero-gravity in orbit. 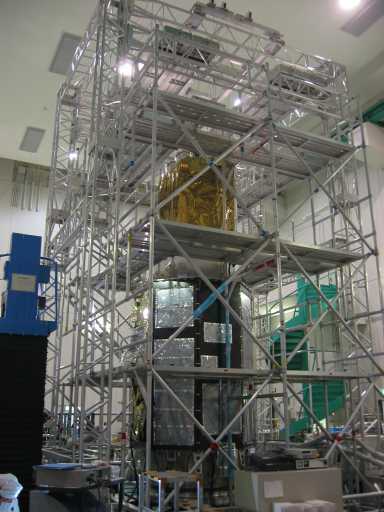 Photo 2: Solid neon cool down of the XRS (X-ray spectrometer) performed prior to the function test. XRS uses solid neon and liquid helium to cool down the sensor, and operations to keep the low temperature environment are regularly required.